A few weeks ago when I crowdsourced some election myths for this post, I was asked an interesting question by a Year 5 student: How do you know the difference between different political parties and what they are promising? It turned out to be such a good question that I’m going to devote two blog posts to it! Today, I’ll be exploring political parties themselves. Political parties are groups of people who believe in a set of values and ideals. They group together with the aim of winning elected positions at federal, state or local elections. Members of political parties help to shape policies, vote to choose candidates for elections, help campaign for their political party and celebrate (or commiserate) after elections. Many Australians don’t belong to political parties, but might generally support one or another of them. While the people in political parties share similar values, they don’t all agree all of the time. Party members, including MPs and Senators, might have strong disagreements about different party policies or ideas. However, these disagreements are usually worked out in party meetings and often aren’t argued in public. Australian political parties are known for having this ‘tight discipline’ which means that MPs and Senators from a certain party usually vote for that party in the House of Representatives and the Senate. Sometimes political parties with some similar values work together in a Coalition. Meanwhile, MPs or Senators who don’t belong to a political party are called independents. Lesson idea: Students can develop their own political party. They should think about what kind of values are important to them, then create an advertisement convincing people to join their party. Why are political parties important? Political parties are important because they help groups of people work together to get people elected and to create laws and policy which promote their values. But there are other reasons why political parties are important. In Australian federal politics, the political party (or coalition) which has the most elected MPs becomes the Government. This means they can choose ministers, develop policies, implement laws and run government departments. They also choose the Prime Minister. Because the political party chooses the Prime Minister (and not the people of Australia), the ruling political party can change the Prime Minister anytime they want to (as we have seen a lot in recent years). This means any elected member of the ruling political party might become Prime Minister . . . This might be another reason for voters to choose a particular political party. Lesson idea: Students explore how Prime Ministers are chosen - and discuss what qualities a good Prime Minister should have. Students can turn this discussion into a ‘job application’ to find an excellent Prime Minister. In the early 1900s, Australia had three main political parties. The Protectionist Party wanted tariffs and taxes on imports into Australia to protect Australian products and jobs. The Free Trade Party wanted to get rid of taxes and tariffs to allow everyone to share in the wealth of the country. And the Australian Labor Party represented workers groups (or unions) to make sure that workers had fair pay and safe working conditions. Over time, many political parties have come and gone in Australia. Some of them held positions of power in the Australian parliament, while others may have had a few elected members (or none) before dissolving. The Australian Labor Party is the only surviving party from the original big three. Lesson idea: Students explore which Prime Ministers represented which party in the early 1900s. They can look a little closer at what policies they promoted and what kinds of laws were put in place. Today there are still three main political parties who form government - but they’re a little different from the 1900s. The Australian Labor Party still aims to represent workers and unions. They also describe themselves as a social-democratic party, which means they think the government should step in to promote social justice through social or economic means. The Nationals Party is the second oldest party in Australia, founded in 1920. It aims to represent farmers, as well as people who live outside the big cities in Australia. The Nationals often work to make sure that people outside the cities have the same access to services as the people in the cities. They work in a coalition with the Liberal Party of Australia and share some - though not all - of the same values. The Liberal Party of Australia was formed in 1944 after a meeting of organisations which opposed the Australian Labor Party. Their goal was to form a party based on individual freedom and personal choice. As part of this, they supported (and continue to support) free business - believing that business is the best way to create national and individual growth and wealth. They work in coalition with the National Party. There are also a number of minor parties (or smaller parties) in Australia. At the moment, the biggest of those is the Australian Greens, a party which grew out of the environmental movement, but now works to develop policies around the environment and integrity, fairness and decency. There are a number of other smaller parties who run in elections and have one or two elected members. These often change as their popularity grows or falls. You can get a better understanding of different parties by exploring their values - what ideas they think are most important. Lesson: Students can create a diagram showing the different political parties in Australia. They might like to research to discover what the core values of the parties are and if they’ve changed since the parties were first formed. Students can use these diagrams to highlight the differences between different parties. In part 2, I’m going to take a little look at what political policies are, how to examine them, and how to tell the difference between them. Want to read more? Try . . . 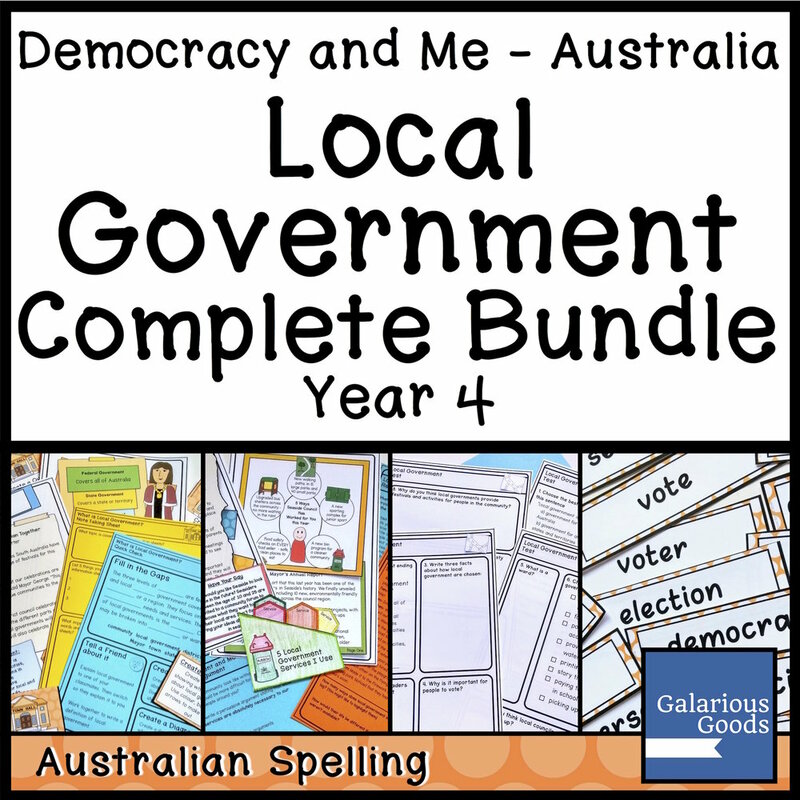 The Year 4 Australian Civics and Citizenship curriculum introduces students to some really important concepts - helping them understand the influence of government, laws and the communities they belong to on their everyday life. But what do teachers need to know to make these lessons more effective? Year 4 students are asked to explore local government and the services of local government. But before students can effectively tackle this subject, they should have some understanding of what government is. This may seem like a fairly simple concept, but like many simple concepts it can be hard to define clearly for our students. You may like to start by gauging student understanding. 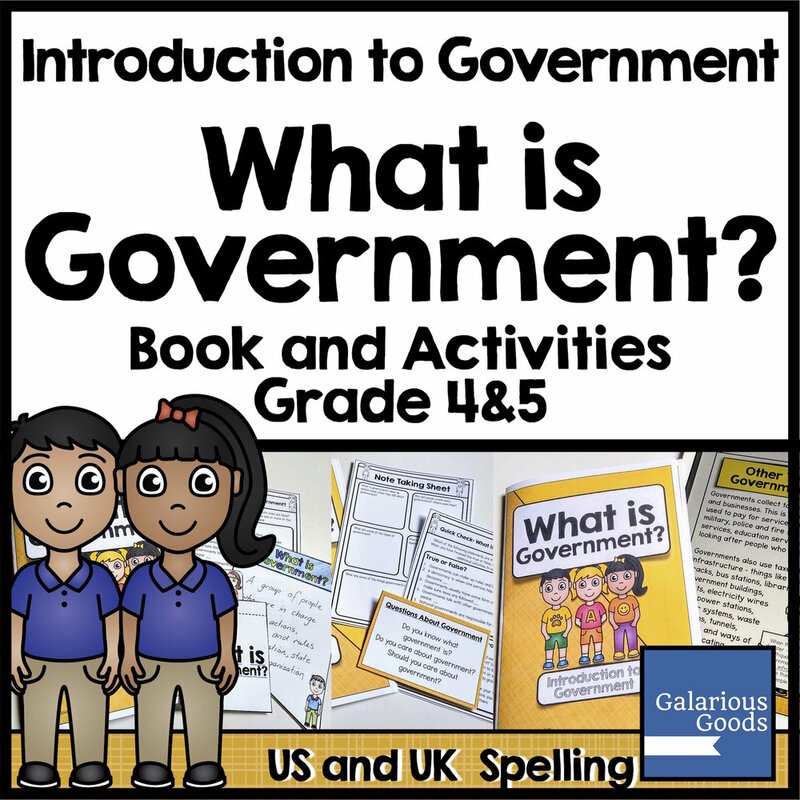 Ask students to write or draw what they think government is or to engage in a think-pair-share while defining government. Students can work collaboratively to create a collage showing what government is or can interview each other about what they think government involves. Students may also like to add to their understanding of government as they spend more time learning about local government. 2. What does your Local Government Involve? The local government outcome is a great way for students to take an introductory look at elections and at how government plays a role in everyday life. But there’s a number of things which you can do to make this more successful. It’s possible that you live in a different local council area to your students or that your students live across two different council areas. This means you may need to do a little research on a different council area and some of the services which the local council offers. It’s worthwhile getting in contact with your local council as you are planning your lessons. 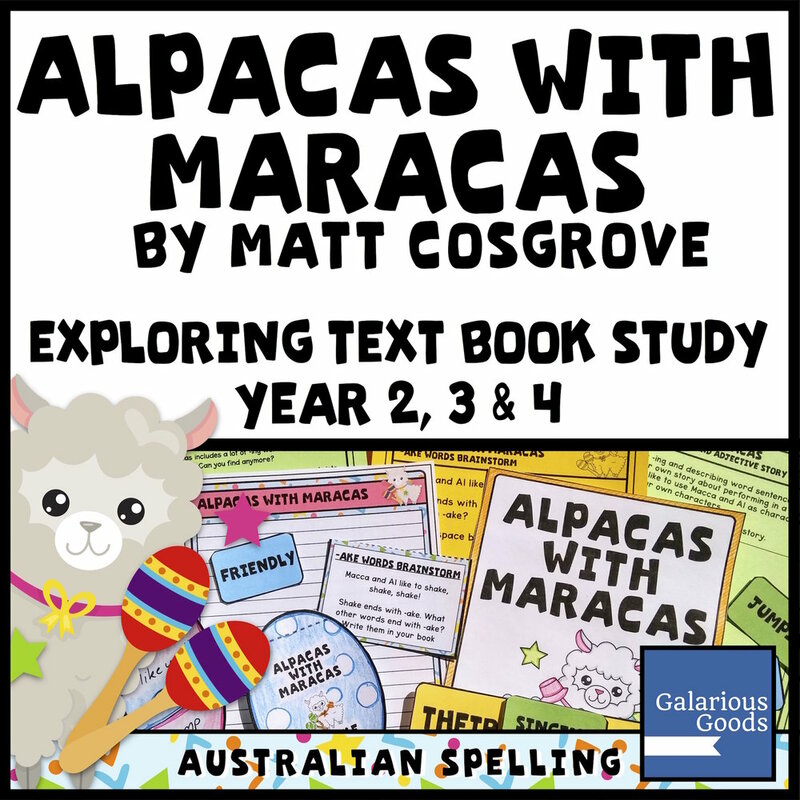 They might have educational materials which you can use in your classroom or they might be able to suggest excursion opportunities or aspects of the council which you may not have thought of. You might also be able to get a guest speaker from the local council - many local councillors engage in school visits and might be happy to speak with your students about the services offered by local government. 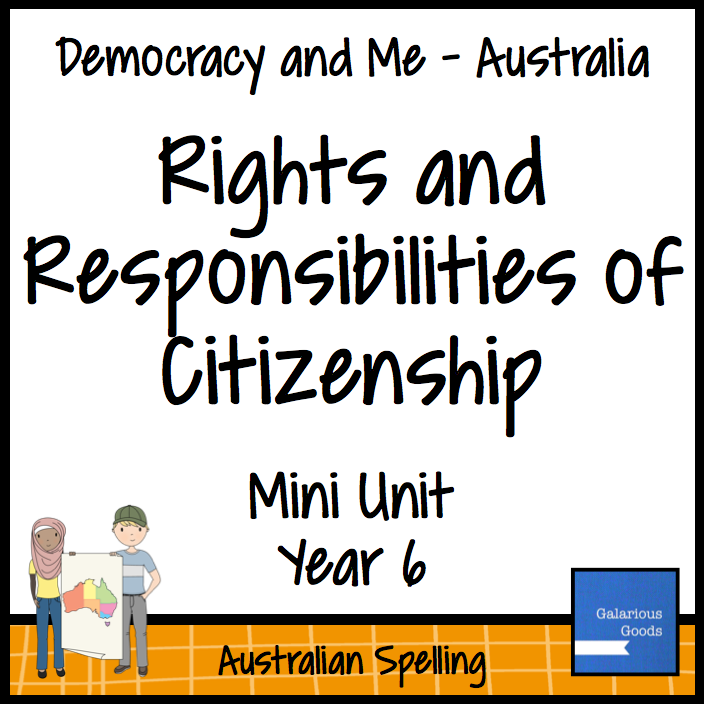 Another Year 4 Australian Civics and Citizenship outcome asks students to explore the place of laws in their life and how laws differ from rules. As you approach these lessons, you might like to collect examples of rules which students might encounter. From school rules, to classroom rules, to household rules to shopping centre or play centre rules - although students see these daily, they may not have really examined them. As they examine them, they can start to understand how rules differ from laws. The difference between rules and laws is another concept which can be simple, but can be complicated. It’s worthwhile spending a little time to write down your ideas on the concept to get them firmly worked out as you plan lessons and learning experiences for your students. Students can also build a ‘growing’ definition of rules and laws - adding to or refining their understanding as they work through lessons on the topic. The Civics and Citizenship curriculum asks students to explore how their identity is shaped by the groups they are part of. This is a rather complex topic - what is meant by groups? What is meant by identity? One way you can prepare to teach this topic is to take a moment to reflect on your own identity and how that has been shaped by groups. Some of the groups you belong to may not have much of an influence on your identity - my family background is Scottish, but other than an interest in visiting Scotland one day, it doesn’t have a massive influence on my day to day life. Other groups you belong to might make a daily impact on your life - my immediate family group prioritises dinner time, so we cook dinner and eat together almost every night - this is a group which has a big impact on what I do every day. Reflecting on your own identity can help you plan a way for your students to explore the groups they belong to and how those shape their own identities. Students may be surprised to discover how many groups they belong to - from groups connected with their heritage, groups connected to their religion, groups connected to their family, friendship groups, school groups and activity groups. You can also explore other groups in your community - especially cultural, religious and activity groups. As well as exploring groups in the community, Year 4 students are asked to reflect on the symbols and traditions of these groups. This might include ceremonies, activities, anthems, poems, school songs, colours or logos. You might like to spend some time collecting examples of symbols and traditions before students start exploring these topics. This might include the logos, colours and uniforms of local sports teams; uniforms, mottos and school songs from local schools; traditions of local religious denominations or traditions of military or returned service people groups. You can present these symbols and traditions to your students, asking them to reflect on why they might be important, why they may have developed, what they say about the groups and how they influence identity. Looking for comprehensive Year 4 Civics and Citizenship resources? 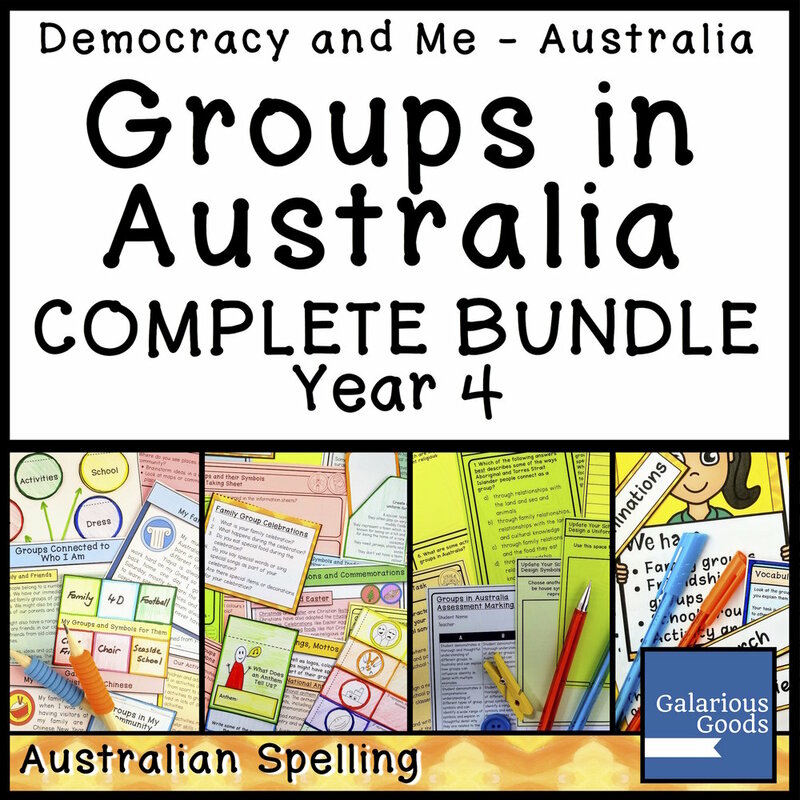 Explore the Year 4 Civics and Citizenship Complete Bundle and the Mini Units, Assessment Tasks and Word Wall and Poster resources which make up the Bundle. I love picture books. I love reading them. I love exploring them more thoroughly. And I love creating a range of activities to bring them to life in classrooms around the world. I have a house full of picture books and a list full of studies to tackle. This is the autobiographical picture book story of Li Cunxin, who spent his early childhood living in a small peasant village in China until he was chosen to join a ballet school in Beijing. It’s a story of family, working hard and following dreams. This lovely story is excellent to explore for classrooms looking at persistence, or classrooms exploring memoirs or biographical texts. Students can compare it to other biographical and autobiographical picture books (including The Little Refugee by Anh and Suzanna Do or The Darkest Dark by Chris Hadfield). 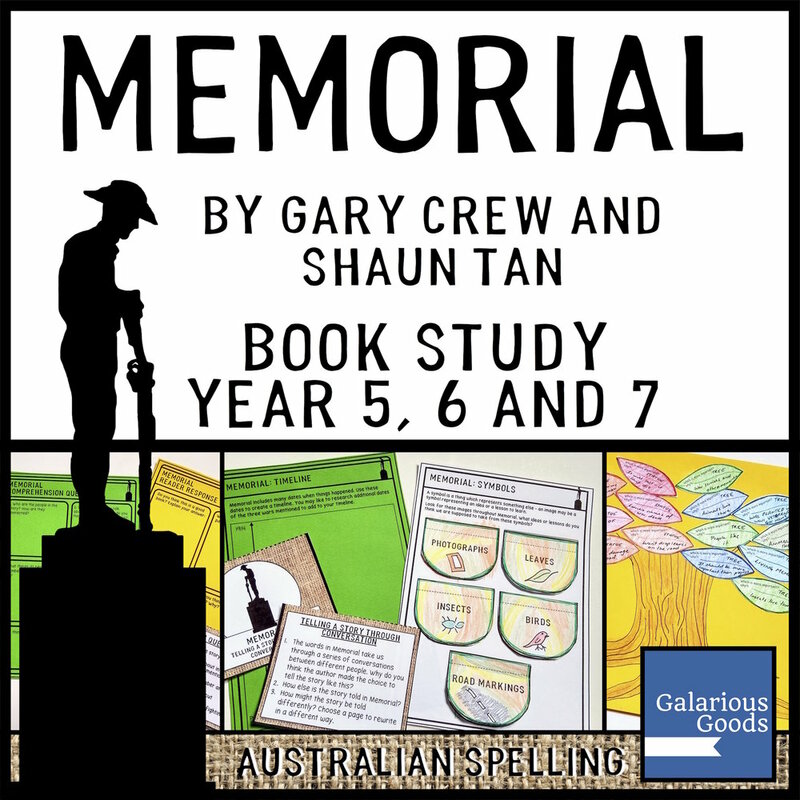 This book study includes comprehension, reader response and review activities as well as activities exploring Li Cunxin, allegories and writing memoirs. This is the fourth book in the natural disaster series from Jackie French and Bruce Whately and a beautiful, heartbreaking look at drought and its impact on the people, animals and land. Drought is an incredibly important book and a great way to open discussion about drought and to prompt further research about what causes drought and how we can help communities who are going through droughts. 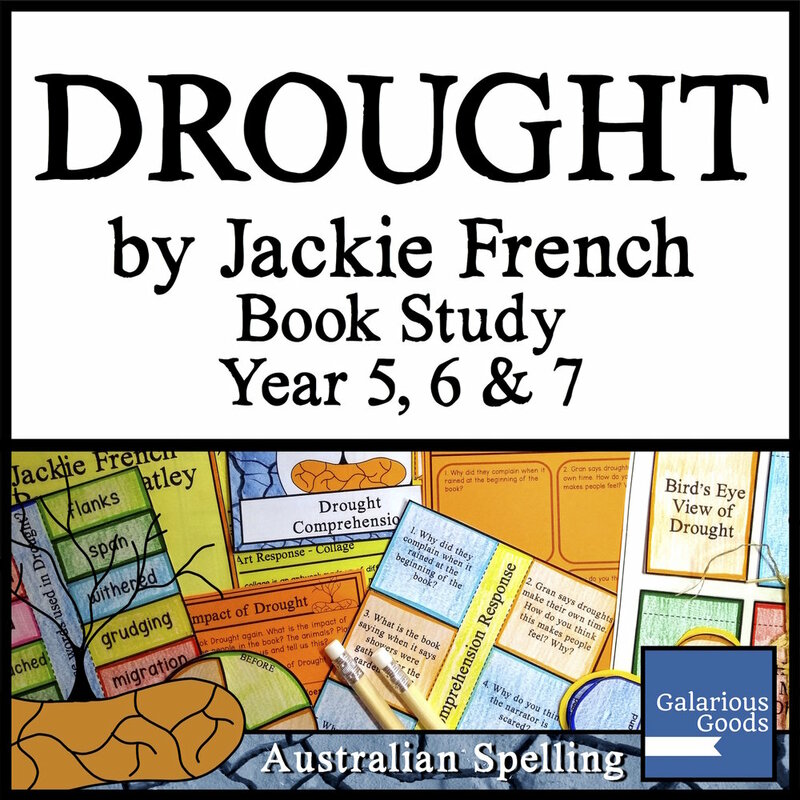 The extensive book study for Drought includes comprehension, reader response, vocabulary, language, theme, research and writing tasks. 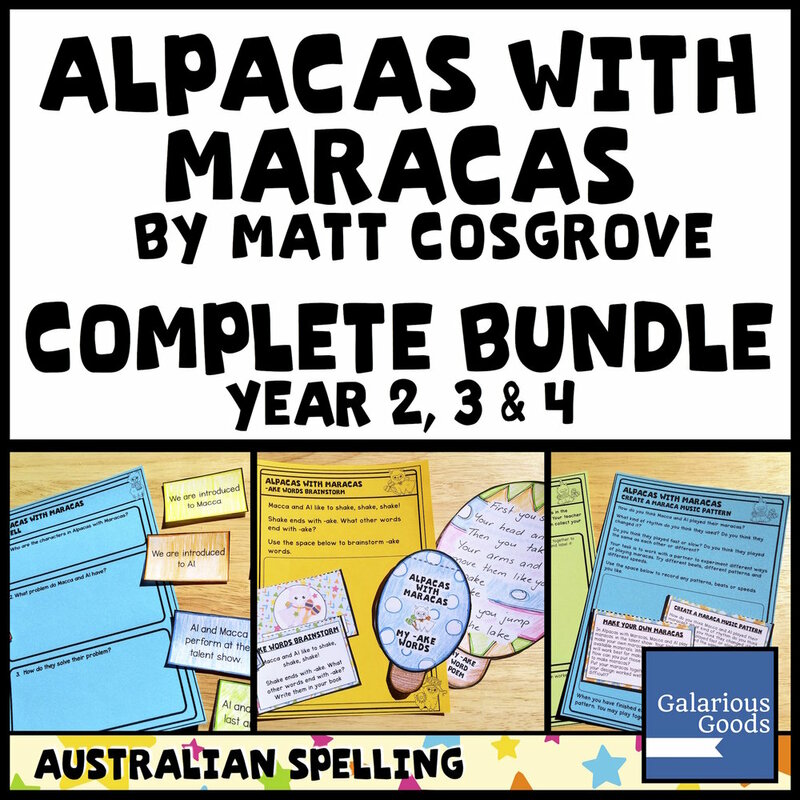 It’s everything you need to take a comprehensive look, with most activities available in a variety of formats to suit your classroom and your students. I adore the work by both of these creators and this is a truly special book - the benchmark for books which deal with Australian involvement in wars. It tells two stories - the story of family and the impact of war on the family and the story of two war memorials - a statue and a tree - which have had a world grow up around them. This is a must read if you are looking for activities around Anzac Day or Remembrance Day or when you’re exploring the impact of war on Australia and Australians. There are so many avenues for further discussion, from looking at whether the tree should be removed, to exploring how we can create memorials for those who fight (and die) in wars. The book study for Memorial takes a really close look at the book, encouraging students to develop questions, to look at how the text is structured to tell a story through conversation and dialogue, to look at the symbols included within the picture book. As elections approach in Australia, people begin to talk about voting. And while this talk is sometimes about policies and personalities (and sometimes about democracy sausages), sometimes misinformation creeps into the conversation. How does this impact us as teachers? Well, teaching civics is part of the Australian curriculum. And teachers are in a unique position to arm their students with accurate information - the kind of information which will make our students more informed when the time comes for them to vote - and less likely to fall for misinformation when it comes up. Reality: Crossing out candidates and writing on the paper will make the vote informal and it will count for no candidate . . . but it also won’t trigger a new election. The myths which lead people to informal voting are probably the most dangerous (and the most likely to be promoted by groups looking to interfere with elections in Australia). An informal vote happens when a ballot paper is not filled in correctly. This might mean that the voter has ticked or crossed instead of numbering, written their name on the ballot, not filled in the ballot at all or hasn’t completed the vote under the requirements of the election. In the 2016 Federal Election, about 5% of House of Representative votes were informal, with about 1.25% of voters leaving them blank, 1.25% of voters numbering incorrectly and about 1% writing slogans or protests on the ballots. While these votes do not count for any candidate (and do not trigger a new election), these votes are totally legal. Compulsory voting requires voters to have their names checked off and to put their ballot paper in the box - but secret ballot means there are no ways to check - and no punishment - if the voter deliberately submits an informal vote. So why should we correct this myth? People trying to make a protest vote might not understand that preferential voting is designed so the majority of voters get the candidate they dislike the least. By voting correctly, you have a much better chance of getting the candidate you dislike least. It’s a protest against the ones you dislike the most! Teaching about informal votes: Informal voting is more likely to happen if there are a lot of candidates running. You can work with your students to discuss why this might be the case - and to create a campaign of strategies to help people vote correctly when there are a lot of candidates. 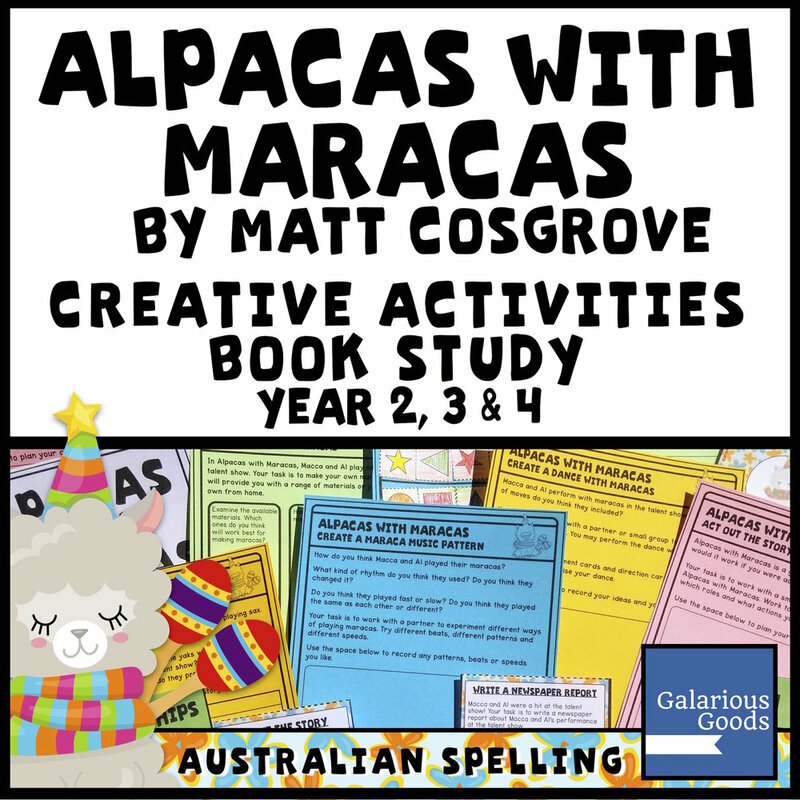 Students can create posters or leaflets with their strategies. Reality: A donkey vote is a perfectly valid way to vote - and why candidates want their name on the top of the ballot paper! A donkey vote happens when someone votes ‘down the ballot’ without thinking about it - they number the first box ‘1’, the second box ‘2’ and so on. Because every box is numbered it counts as a valid vote. The first candidate on the paper gets the first preference, the second candidate the second preference (if required) and so on. Teaching about donkey votes: Investigate the ballot draw system with your students - you might even be able to find video of a draw online. Ask students to create diagrams to explain the system. Or ask them to create their own better system of creating a ballot draw. Students can also explore why we don’t use other systems for the ballot like alphabetically or in the order candidates are registered. Whenever an election approaches, there’s a lot of discussion about How to Vote Cards. These are the cards which volunteers hand out as you walk into the voting booth. Candidates create them to try to convince people to vote for them - then for the people they like the most (or dislike the least). But, even if you like a particular party or candidate, you can definitely preference your vote (vote 2, 3, 4 etc) any way you like. The how-to-vote cards are just guides. The surprising thing is that a lot of voters have no idea how they will vote until they turn up - so those cards can be influential! Preferences are important though. Preferential voting can be difficult to understand - and it’s a whole blog post of its own! - but preferences can change the results of elections. It’s a system which allows the majority of voters to elect the people they dislike the least. It’s a little strange, but the preferences allow us to have a greater say about who represents us and which party is - or isn’t - in charge. 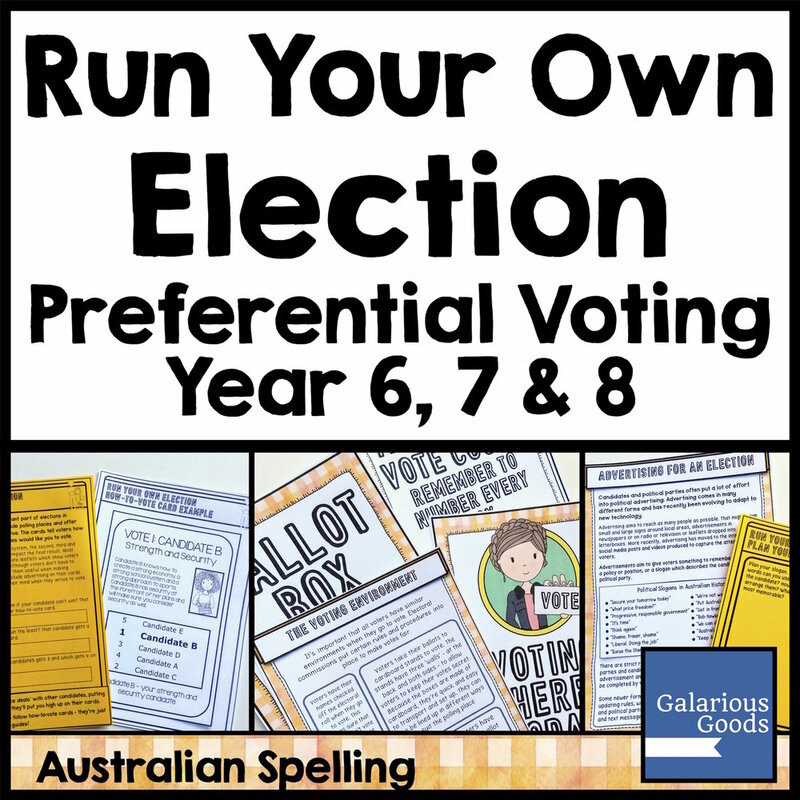 Teaching preferential voting in the classroom - You can find a resource with a closer look at preferential voting at the Galarious Goods store and the Australian Electoral Commission also have a video about preferential voting. 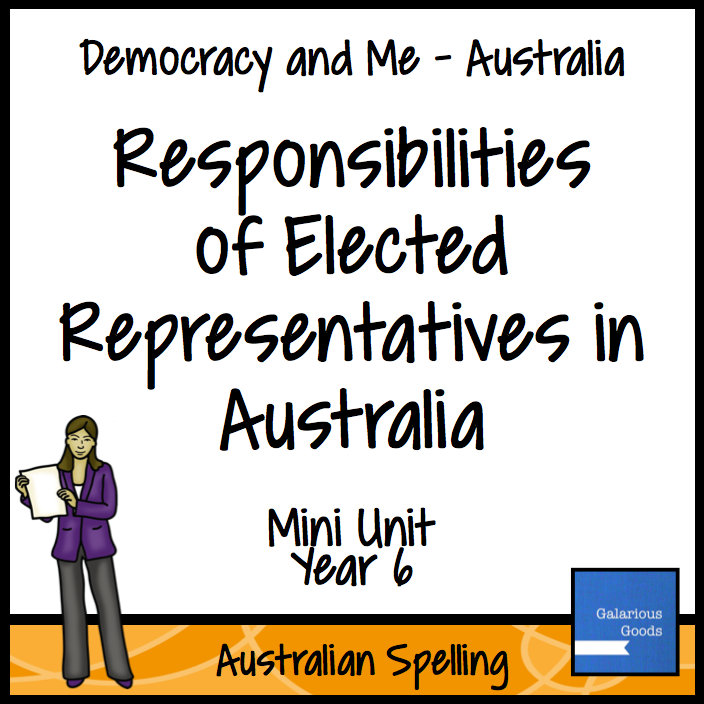 Students can create diagrams or their own videos which explain preferential voting. Reality: While some seats are ‘safe seats’ there are still benefits to voting. It can be a real pain to get all excited to vote, only to see the same person - who you don’t like - get elected each time. It’s enough to make you wonder why you bother to vote when you live in a ‘safe’ seat. A ‘safe’ seat is a seat which is likely to be won by the current candidate (or the same political party). However, there are examples of safe seats going to other candidates. Sometimes this might be because local people are tired of being a ‘safe’ seat and seek their own candidate (like in Indi in 2013); and sometimes a change in boundaries and population, as well as political changes can be enough to change the seat (like when the Prime Minister, John Howard, lost his own seat in 2007). When this happens, the votes are usually pretty close, so it’s definitely worth voting. Voting also influences political funding. When a candidate gets more than a certain percentage of first preference votes, they are eligible for election funding. This can be especially helpful to smaller parties. In almost all state and federal elections (Queensland is an exception), you’re voting for an upper house as well as a local representative. These votes are often closer, and a small number of votes can make a real difference, so these votes can help make changes, even when you’re in a safe seat. Voting is also one of the responsibilities of being an Australian citizen. It’s a chance to become better informed, to have a say . . . and to get yourself a democracy sausage or two. Teaching about voting in the classroom: Explore the campaign in Indi for independent representatives. It’s a fascinating story about voters having a say. 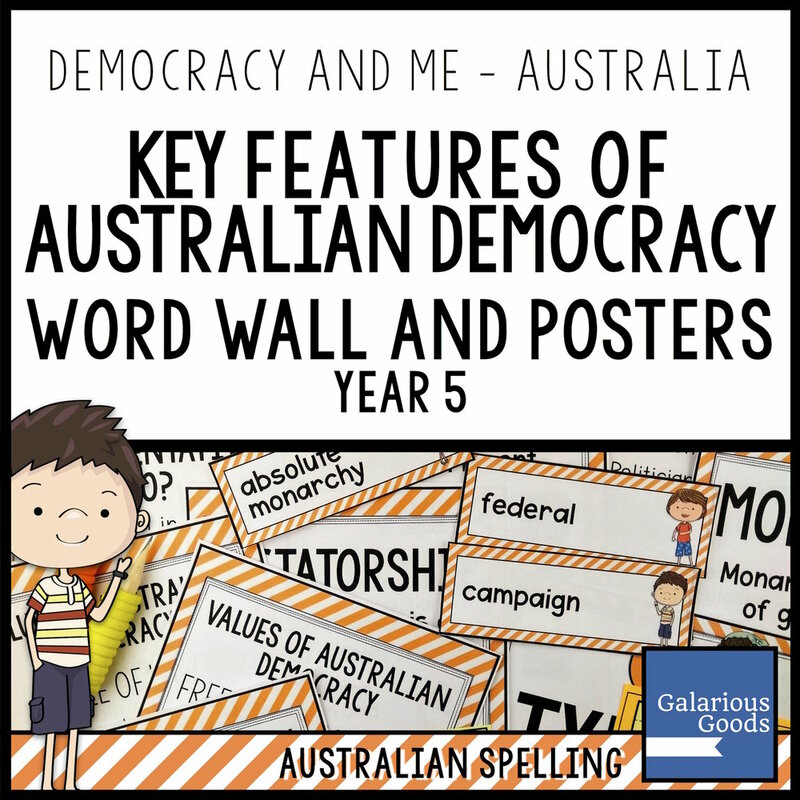 You can also explore more about the responsibilities of voters with this resource from Galarious Goods. Have you heard any myths about voting in Australia? Make sure you leave them in the comments below. A huge thanks to Mel, Heidi, Skyler and Kate for their help in uncovering election myths! 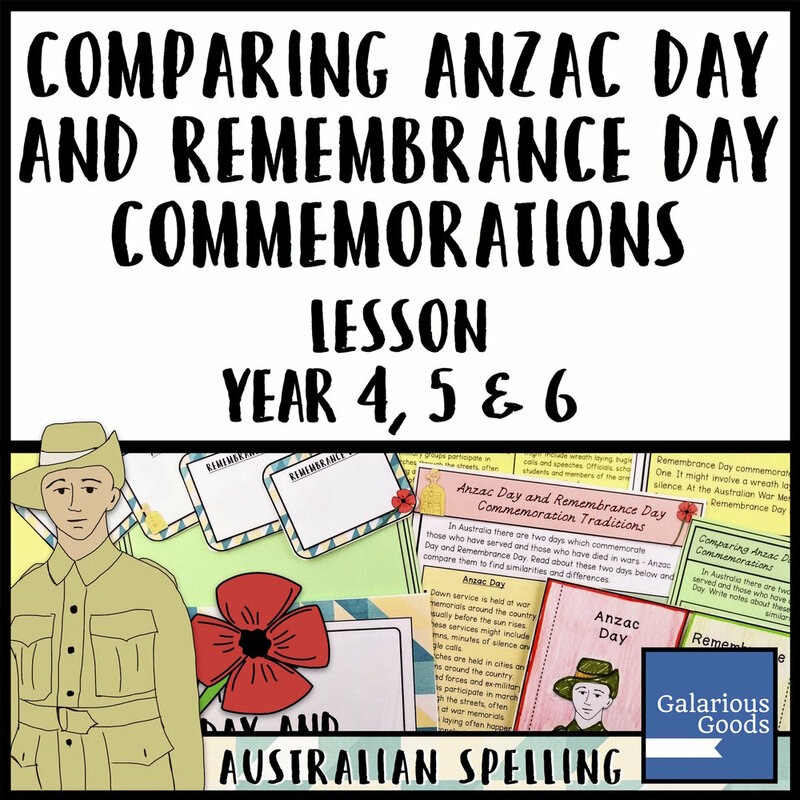 As we explore Anzac Day in the classroom each year, we might seek new ways of presenting familiar events and stories. One way to take a closer look at the history of Anzac Day is through presenting and exploring primary sources. But where can we find primary sources around Anzac Day and how can we use them in the classroom. Primary sources are documents, images or artefacts from the time period in question. They provide ‘on the spot’ information about the events and the people involved. Primary sources can include photos, diary entries, newspaper reports, physical objects, government documents, advertising and interviews. When exploring Anzac Day, most attention turns to World War One, particularly the events at Gallipoli. However, students can also explore the Second World War and other military involvements, including in Korea, Vietnam and modern peacekeeping and conflicts. One of the easiest ways to access primary materials - especially news reports and photographs - is online. Many state libraries and museums have online collections, as well as organisations like the Australian Army. These documents can be displayed with projectors, used on tablets (especially the PDF booklets) or printed out for students to explore. As well as the big museums in Australia, smaller local museums and historical societies may have primary sources for exploration. These collections might not be as big as the larger institutions, but might have connections with the local area of your students. Libraries are other good sources of local history material. They may have photographs, newspaper articles or documents to explore, but may also have books which have collected photographs or documents together. Finally, it’s worth seeing if the families of your students have any primary source material they can bring in to explore. Families may hold onto medals or photos of family members, or have letters or postcards or other primary source material like service records which they have collected over the years. Below I’ve chosen three World War One primary sources to take a closer look at, including some discussion and response ideas. These sources are all available online as of March 2019. This collection of 10 recruiting posters gives students an insight into how the government and the army went about recruiting men to volunteer for World War One. The tone of the posters ranges from ‘come along and help out some friends’ to ‘you are pretty horrible if you don’t come and fight’, as well as asking young men to be proud of being Australian and of being part of the British Empire. Students can explore the different images and words used on the posters and consider why those images and words might have been chosen. They can also explore what the reactions might have been to these posters. Students can also compare these posters to more recent armed forces recruiting posters - what’s the same between now and then? What’s different? Students might like to use these posters to formulate questions about the war. Why did most of them say ‘God Save the King’? Why is the date for Australia Day so different? Who is this Earl Kitchener who is often quoted on the back? What are some of the items shown in the illustrations? Students can also engage in research related to these posters. Why was so much recruiting required? What happened to men who didn’t volunteer to go to war? Did the Army use similar techniques in World War Two? This is an extraordinary collection of primary sources - from war diaries to leave passes and many photographs. John Lord was 19 years old when he enlisted to serve in World War One and he served from June 1915 until after the end of the war. He took or collected a number of photographs and souvenirs which he brought back to Australia. You can read more about him at the Museum Victoria website. Students might like to browse through the entire collection to get a better overall picture of the experiences of John Lord, or they could focus on one image like Extreme Right of Anzac which shows Australian soldiers standing on the edge of a cliff at Gallipoli. Students examining the photo will get a good understanding of how steep the cliffs were at Gallipoli and why it was so difficult to move around. They can also see the different types of clothing which was worn by the soldiers and make inferences about what they were doing at the time. Students can use the collection to create a page which tells a story of World War one, using a range of photographs to illustrate it. They can also choose a photo or two to write about or they can create pieces of artwork inspired by the photographs. Students might also like to explore the war diaries to create a short piece of writing about what it was like to be in World War One. This news article from The Age in November 1918 demonstrates how the people of Melbourne celebrated the end of World War One. It’s a particularly descriptive piece of writing, allowing the reader to get a good idea of what it might have been like to be there. Students might discuss why the celebrations were so joyous and what some of the issues were around the celebration. They might also like to rewrite the article in the style of a modern newspaper or search for images which might accompany the article. Students can also write a short piece from the point of view of a young person who might have been there during the celebrations or a time traveller from today who went back in time and got caught up in the celebrating. This primary source is also a good example of some of the difficulties with using Primary Sources. The original newspaper can be difficult to read and the transcription has some errors. Students can talk about how mistakes might be made when using primary sources or how primary sources may be shaped by the people involved with them and their biases. Whether it’s posters, photographs or articles - or journals, artefacts or official papers - there’s a wealth of primary source material related to Anzac Day, allowing teachers and students to take a deeper look at an important commemoration in our country. For many children, waiting for their classmates to finish working so they can move on is a frustrating - and frustratingly common - occurrence. Researcher have even found that some students spend as much as 50% of their learning time waiting for other students. How can we assess the waiting in our classroom? And how can we address it so our students are learning as much as possible? The inevitable waiting. Waiting for assemblies, specialist teachers, technical equipment to work, students to line up to return to class or move around school. You can do things to reduce some of this, but there’s always going to be some waiting - and it’s ok for your students to know this. Which students are finishing early. Some of the students might tell you if they finish early, others might just finish and wait. Keep an eye out for them, or ask your students to let you know if they finish early. If there are students who are finishing with the rest of the class, but they probably could be finishing quicker. If students have become accustomed to getting more work when they finish early, they may have learned to slow themselves down to avoid the extra work. These students can be hard to spot, but keep a note of any suspicions you have. Especially look out for students who are inserting ‘non-work’ time into their work time and still finishing on time - although their interruptions might be distracting, it might be their way of delaying their finish. Students who are finishing early, but could probably be working at a higher level. It’s good to have a record of who might be ‘rushing’ through the work and may need some slowing down strategies and thinking time. Which subjects have more waiting time. Are students waiting more in maths? Or reading? Do you have lower number of students waiting when you do handwriting? Make a record of this to help you plan future lessons. Be kind to yourself. If you get a lot of information it can be overwhelming. But it’s ok to pick one or two areas to work on first. It’s also ok to come back and undertake this reflection at a later time - especially if you’ve made changes. You may see some great improvements and you might also find some other areas to work on. The best way to avoid frustrating waiting in the classroom is to plan for all your students to be as engaged in learning as much as possible! This kind of differentiation is not always easy, though. Here’s a few things you might like to include in your planning. Pre-assess when you can. If you’re approaching a new concept in reading, mathematics or science, it may be useful to offer a short pre-assessment. This allows you to see where students already have a good understanding of the concept - and where there are gaps in knowledge. The work can then be targeted to the students in your class for the best learning for all of them, and it may help you put together some temporary groups to work together. Plan to use open-ended activities with different possibilities. Open-ended activities are a great way to allow all students to be engaged and show understanding of a concept. For example, instead of (or as well as) offering a page of maths problems where students add 10, ask them what happens if they add 10 to different numbers. Students can practice their skills and find patterns. if the class are reading an information sheet, the students who have finished reading can find the most important vocabulary (and rank importance?) or create a diagram of what they have read. Try to make as many of your differentiated activities transferable to other activities, while still being effective. Creating a ‘tool-kit’ of differentiation for quick finishers will make it easier to make it part of your planning. 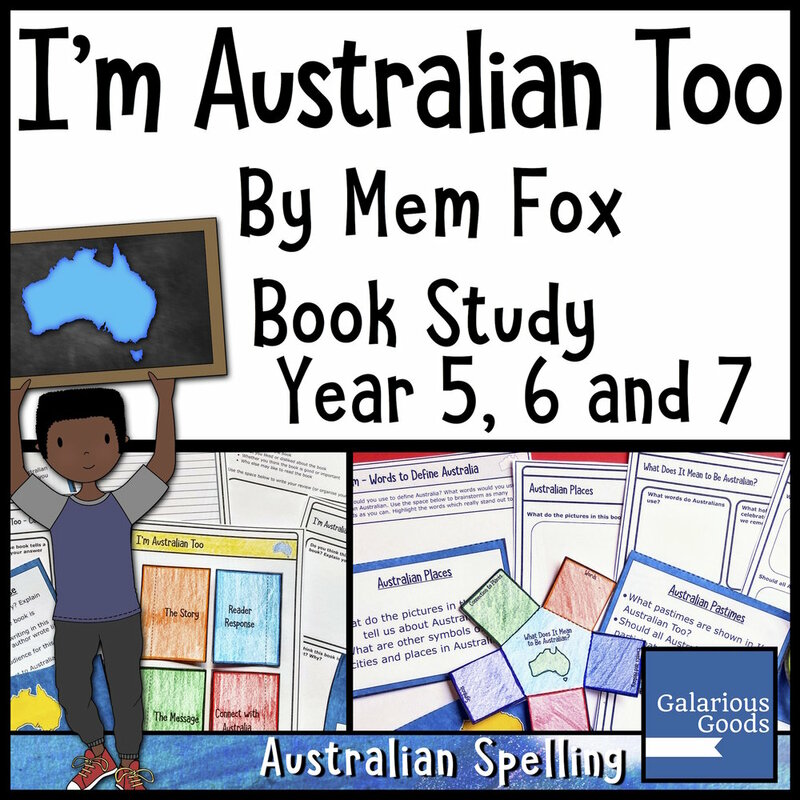 Develop a classroom culture of ‘is it my best work?’ This allows all students to demonstrate the best work they can possibly do in the classroom, but also gives quick finishers something meaningful to do when they have ‘finished’. Going back and revising work is an important skill for all students to develop. Ask students to find 3 areas where they can improve their work and ask them to reflect on why they think those areas can be improved. 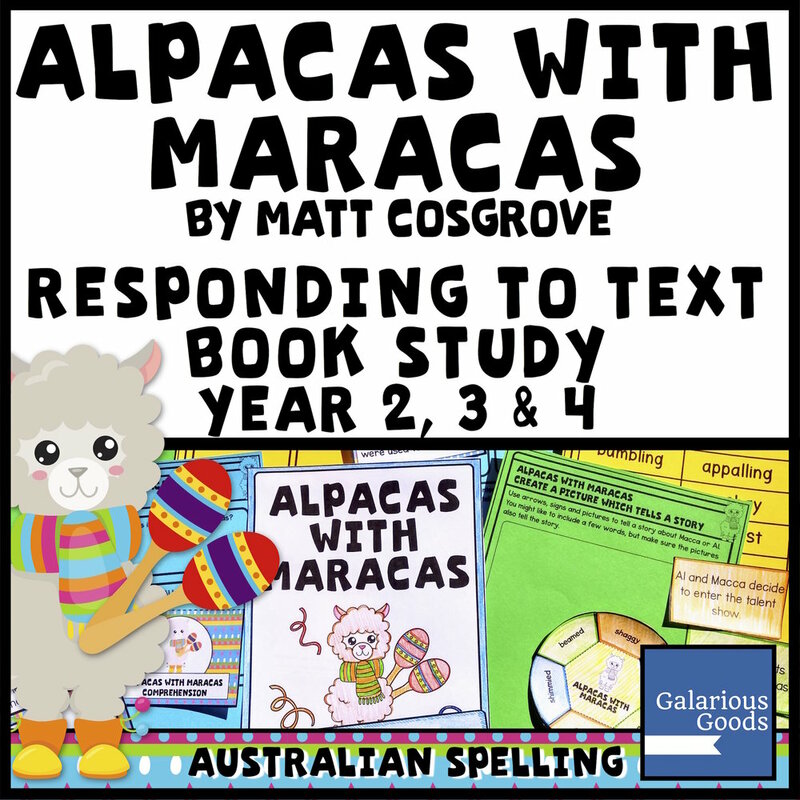 It is possible that they won’t find anything, but it’s important for them to know that even adults (such as authors) go back and revise and improve their work - and a thoughtful way to use time. Ask students how they would explain the concept or how to solve the problem to someone else. They might create a written piece, a drawing, a diagram, a verbal explanation - even a podcast or a video of their explanation. Ask students to create their own related problems. If they’ve finished all the comprehension questions for a chapter, what questions would they ask? If they’re finished with a fractions problem, how would they create one? This allows you another way to see the depth of their understanding, while being meaningful work. Keep reading and games on technology as a last resort. If there’s really no other way to fill in the waiting time, you may need these to turn to. Think about setting a time limit on them (assess when you’ll be moving other students on) so students know when they need to put the book down or turn off the game. And make sure there’s time in your schedule for all students to enjoy the games or reading time so there’s no resentment building against those fast finishers.